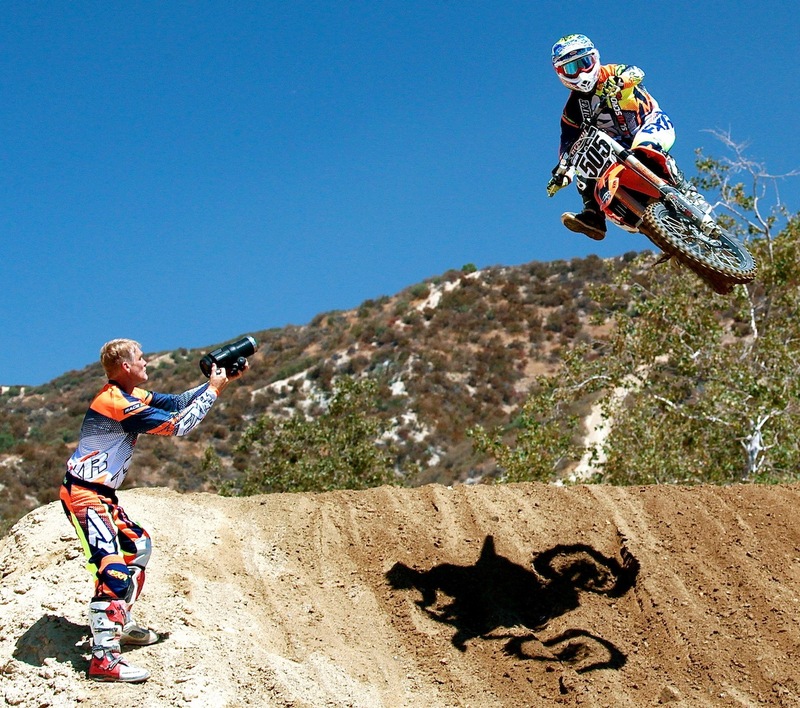 Dirt Bike’s Ron Lawson takes a break between his motos to shoot some photos. Here, Ron grabs a snap of Sean Lipanovich. 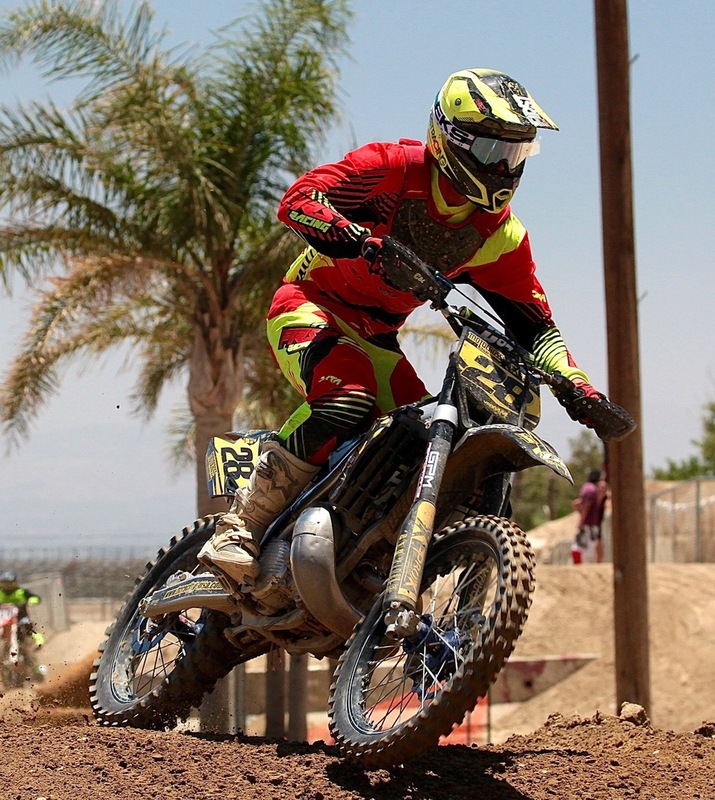 Jon Ortner won the Over-50 Elite class on MXA’s 2017 KTM 250SX two-stroke. 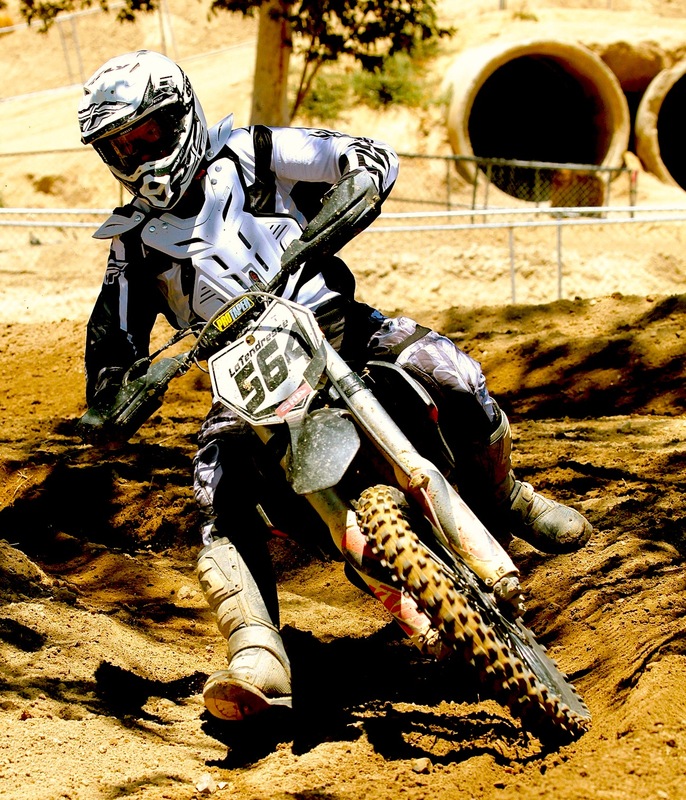 Terry Cook railing through some loose dirt with Speed & Style. 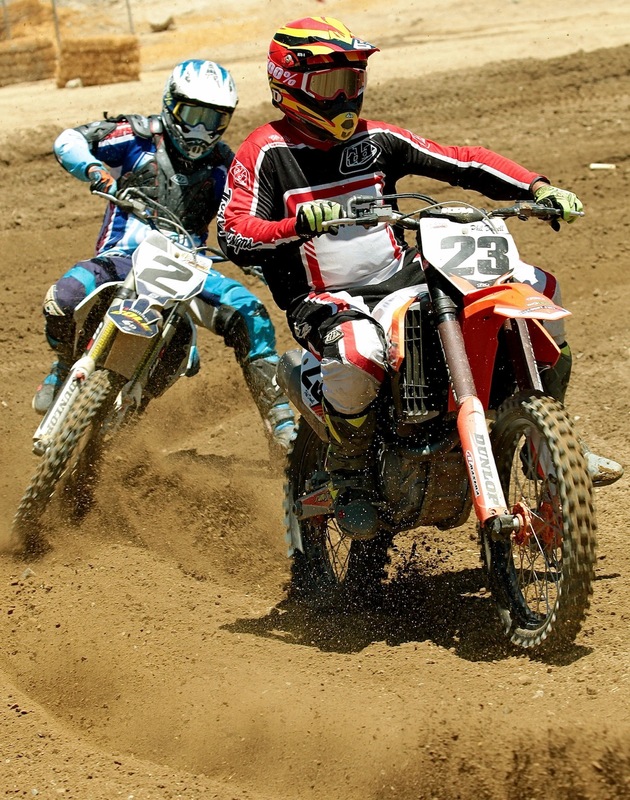 Phil Dowell (23) and Luther French (2) apply opposite body English on their way to 7th and 4th in the Over-50 Elite class. 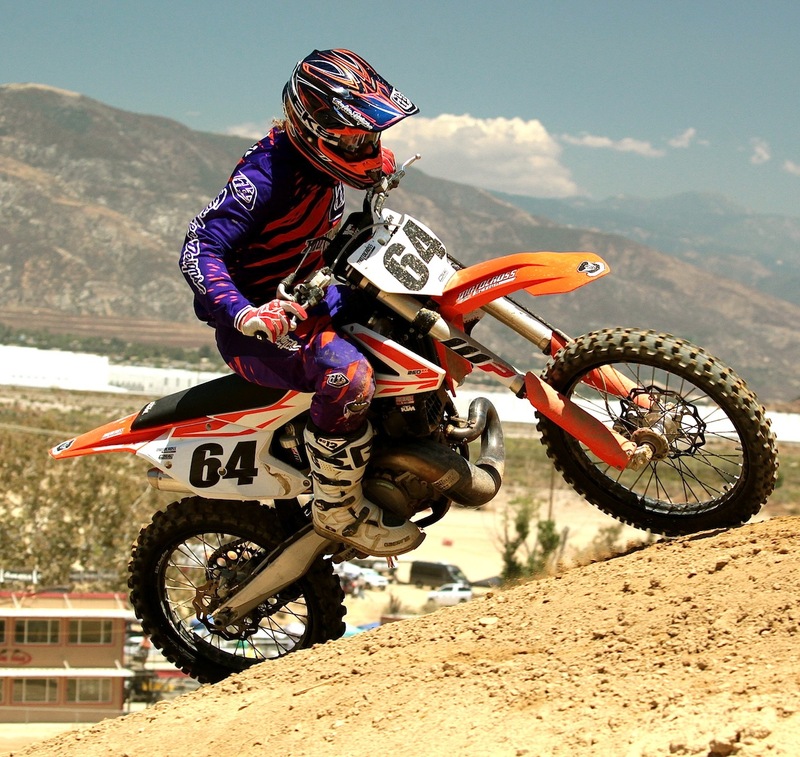 With less than a lap to go in the second moto of the Over-60 Intermediate class Jody Weisel was in fourth place, but managed to win the moto on a 2017 KTM 450SXF. You gotta love Jody’s throwback gloves. 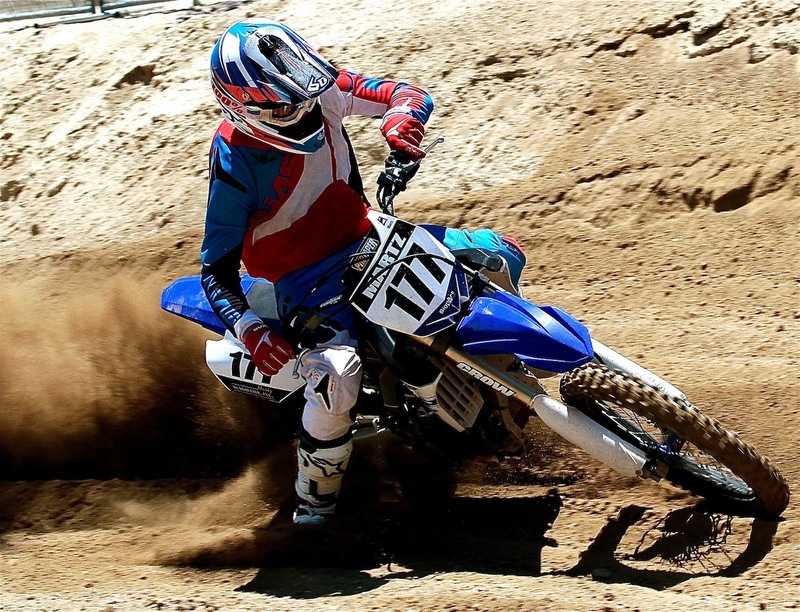 Pete Murray prefers to race a YZ125 two-stroke against the big 450 four-strokes in the Over-50 Elite class, but this week Doug Dubach showed up on a YZ125 and Jon Ortner on a KTM 250SX. Pete ended up with a 3-3 day. 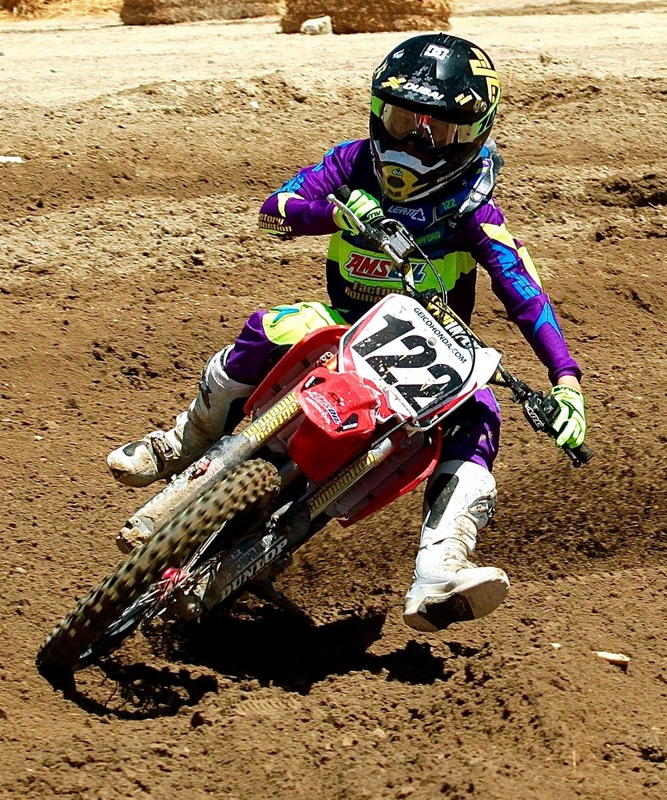 Geico Honda’s Carson Mumford is racing a CRF150 to great effect, but Geico should build him a trick CR125 to give him a better chance in the 250 Intermediates. 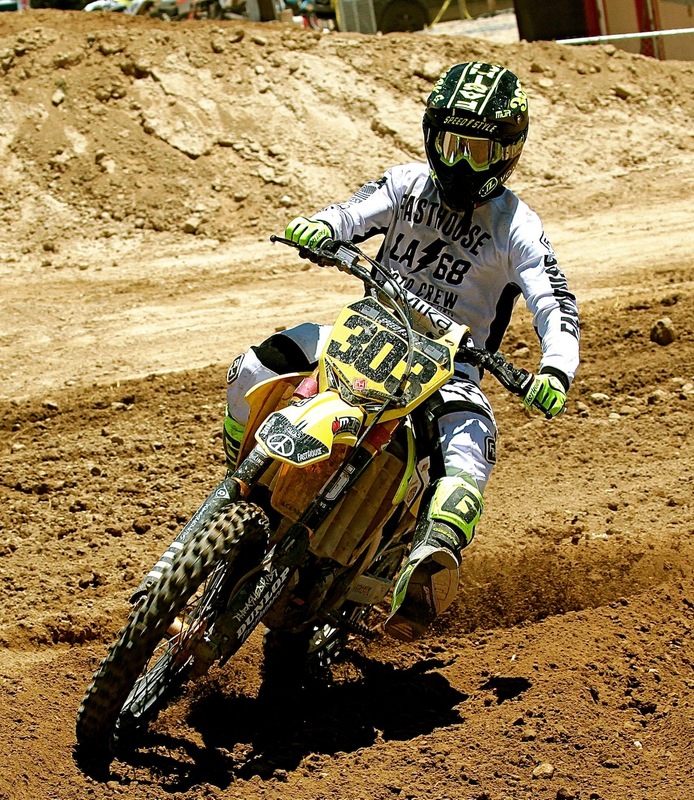 Willy Simons, Jr. went 1-2 in the 250 Intermediates, but ended up second overall. 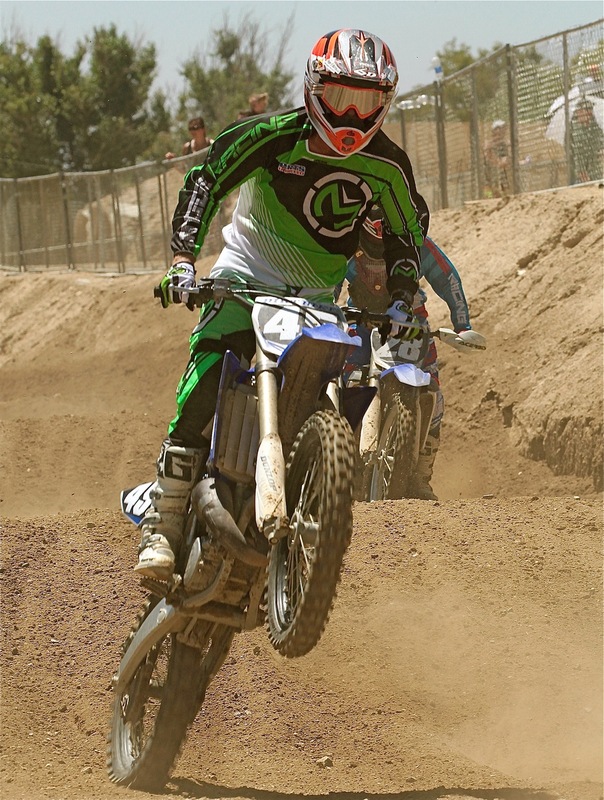 Eric Warrington (202) swept both motos of the Over-40 Novice class. TM importer Ralf Schmidt’s 2-1 bested Robert Reisinger’s 1-2 in the Over-40 Intermediate class. Reisinger would also go 1-2 in the Over-50 Expert class to lose to Jerry Black’s 2-1. 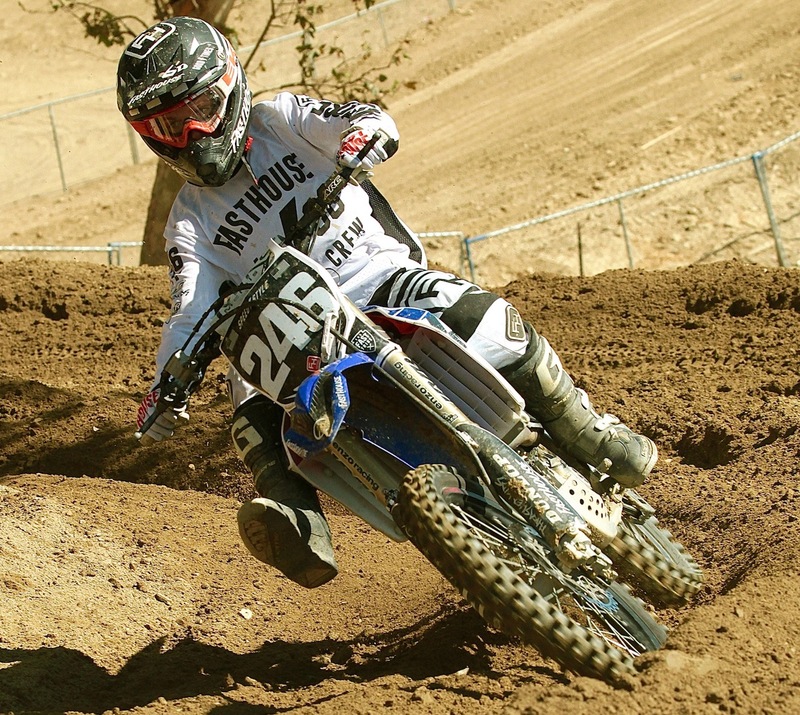 Steve Martz blows up a berm on his way to second in the Over-40 Expert class. 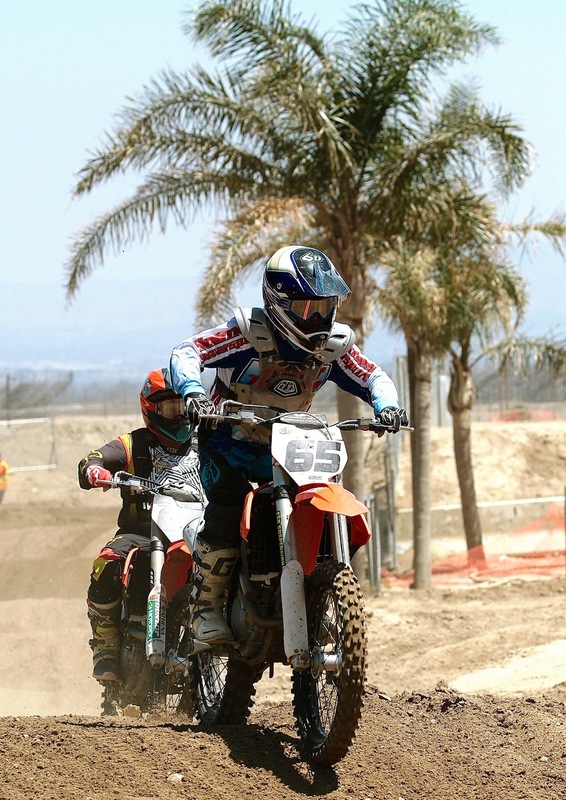 Jim Latendress made a last lap pass on Bob Rutten to win the Over-60 Expert class. 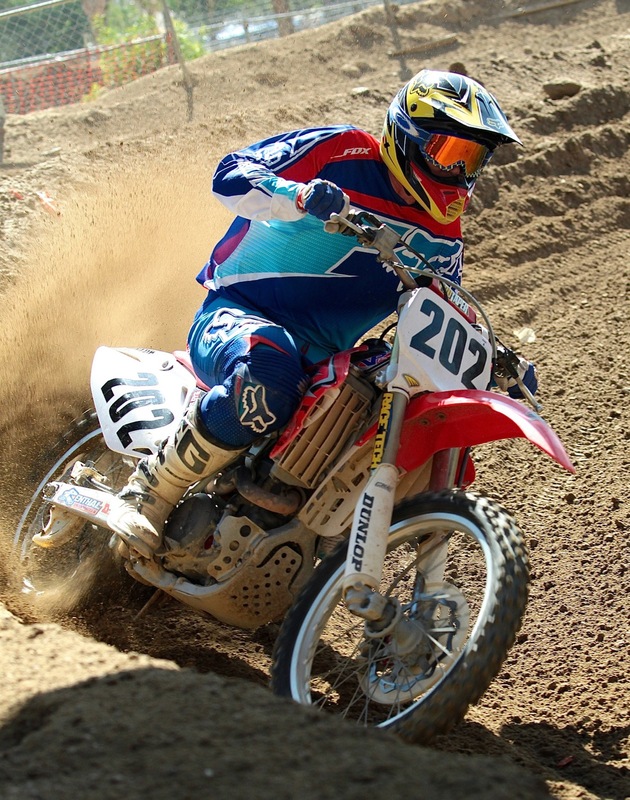 Rutten was second, Jim Hanson third, Joe Pena fourth and Carl Gazafy fifth. 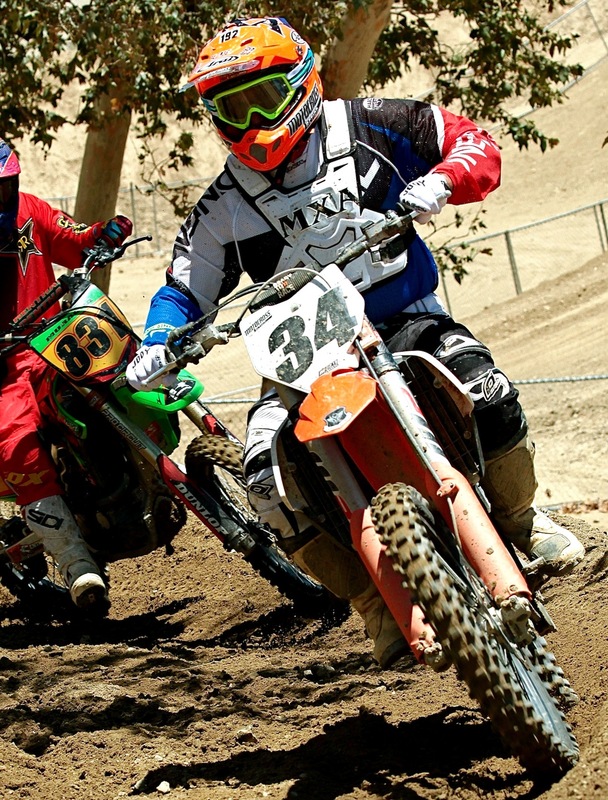 Brian Martin (65) and Tony Parson (68) jockey for position in the palm tree section of Glen Helen’s USGP track. 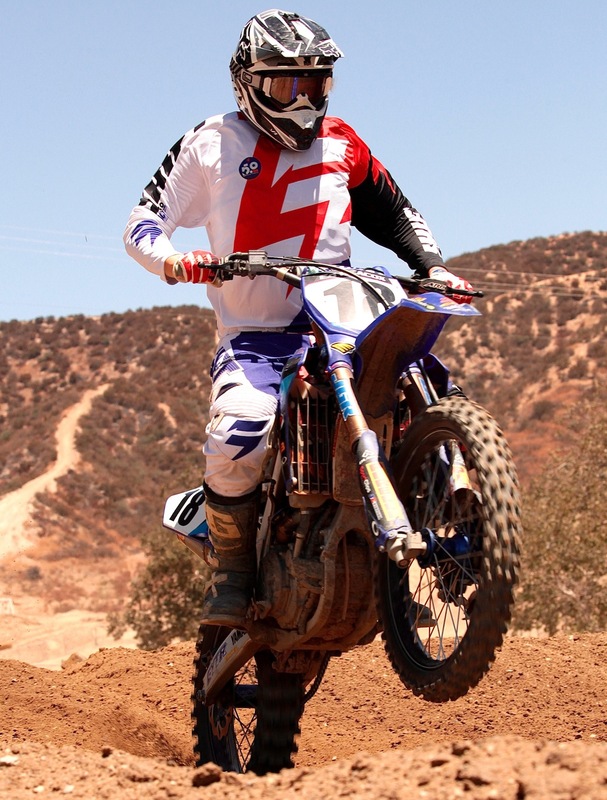 Chris Alamangos guides MXA’s 2017 Husqvarna TC250 out of a loamy right. 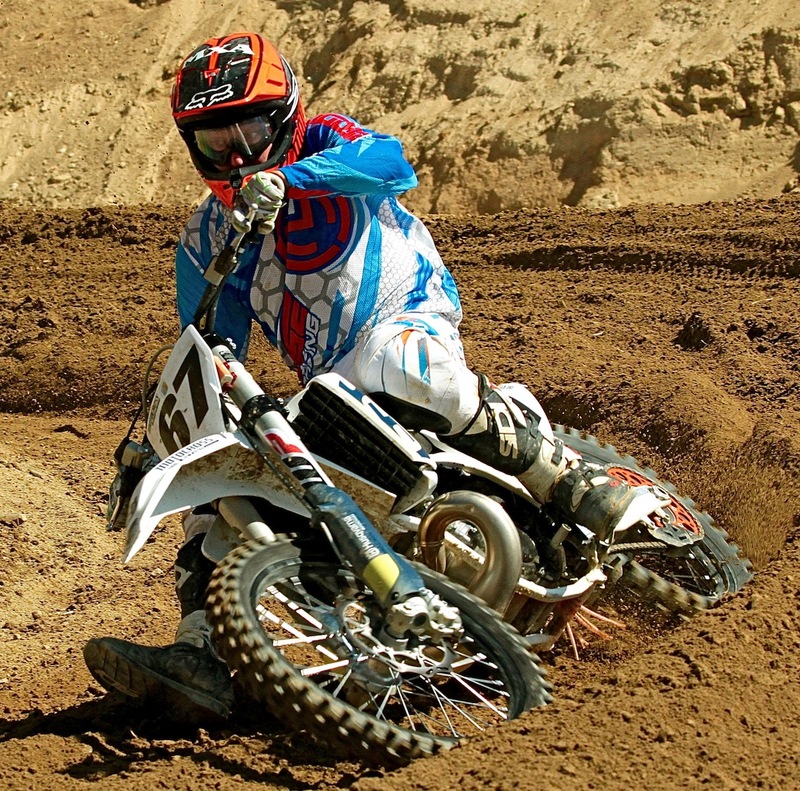 Ed Heacox swept both motos of the Over-50 Intermediates in front of Eddie Jaramillo, Brian allen, Jim Hanson and Greg Groom. 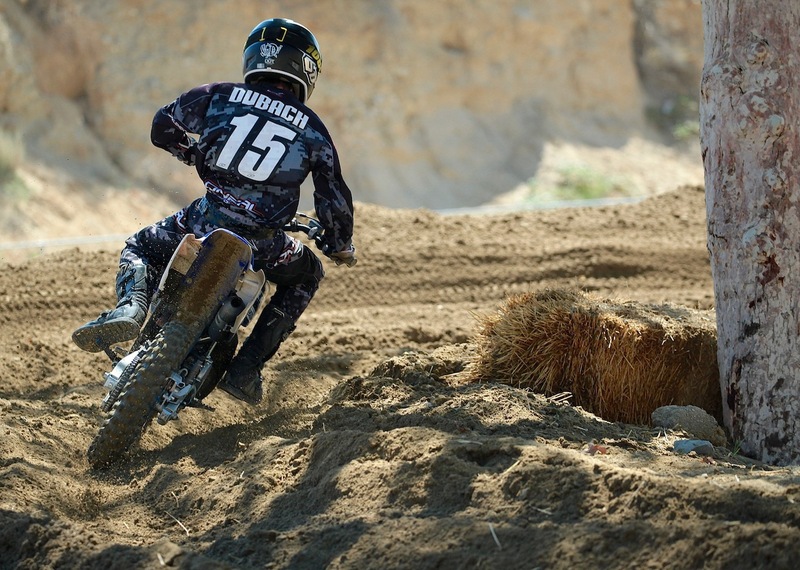 Carter Dubach catches a little shade in the 85 Intermediate class.